A healthy food which can be eaten raw or cooked. 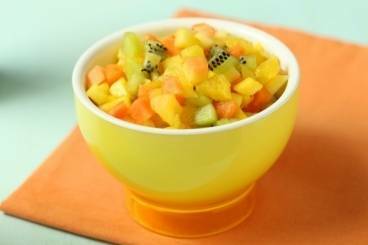 A wide variety of fruits can be incorporated into desserts and also are a nice addition to savoury dishes. They can also be preserved by drying them or in a jam or chutney. Fruit compotes are old school, but they never go out of style! Great winter warmers, they should get a permanent spot at the back of the stove -if you have an Aga- or in the fridge, ready to be warmed up. One gets a true sense of satisfaction when the pantry is filled with pretty jars of preserves, especially if they are all home-made. However, it can be rather devastating if things go wrong. A delicious puff pastry mille feuille filled with fresh fruits and a vanilla cream. Learn an easy recipe for fruit and nut bars made with pecan nuts, sunflower seeds, dates and berries. Perfect for brunch! While the best orange marmalade is made with Seville oranges, any citrus can be turned into a lovely homemade spread. The fruits in this recipe can be substituted for any citrus you like, but do try to always include lemons as they contain the most pectin. A fruit salad with pineapple, mango and passion fruit topped with a rum scented sabayon. Soft almond sponge cakes served with a passion fruit and orange drizzle. 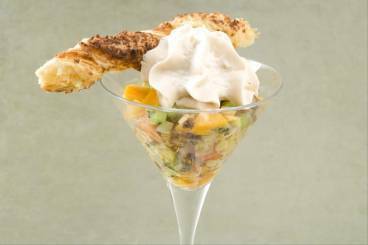 A tropical fruit salad of pineapple, mango, kiwi, papaya and passion fruit served with a champagne emulsion and puff pastry coconut twists. A very easy yet impressive tart made with puff pastry, brioche and seasonal fruit. 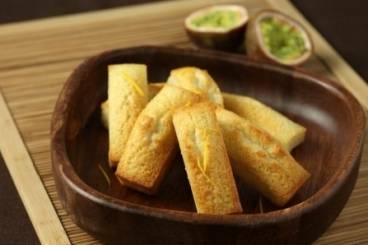 Can be served for afternoon tea or with dessert for a decadent dessert.